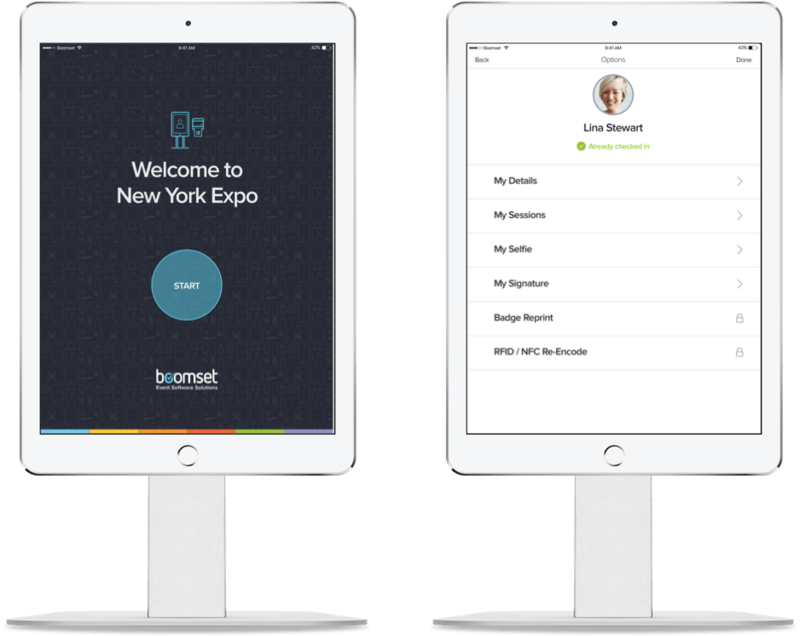 Expedite check-in and empower your attendees! Request signatures, capture selfie photos, and edit schedules at registration. Enhance marketing efforts and engage attendees with your unique brand. Automate a customized on-site registration flow and give your guests control at check in.